Life Insurance - Liability coverage protects you if you (or another person driving your car with your permission) injure or kill someone or damage property. For example, let's say you run a red light, strike another car and injure the driver. 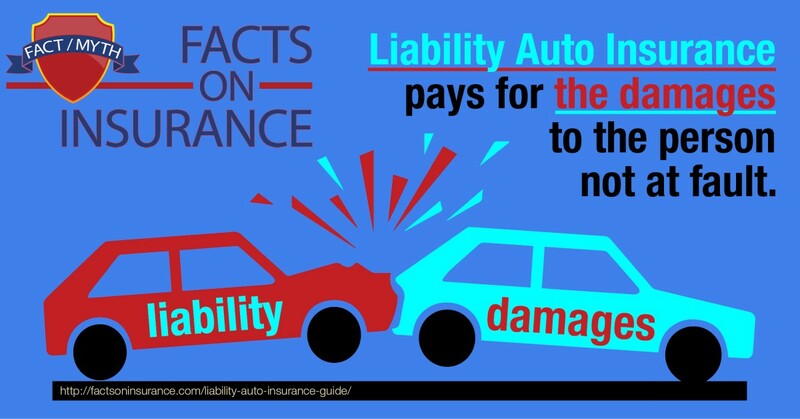 Your liability coverage obliges the company to defend you - in court, if necessary - and pay claims to the other driver for vehicle insurance damage and bodily injuries, including medical and hospital costs, rehabilitation, nursing care, and possibly lost income and money for pain and suffering. (The liability section of your policy does not compensate you for damage to your own car insurance or any injuries to you. They are covered by other parts of the policy. Now assume that you're involved in a collision at an intersection with no witnesses or evidence to pin the blame on either driver. Again, under your liability insurance coverage, your insurer agrees to defend you against most proceedings the other driver may take against you. The company limits its liability payments to the policy limits, or the amount of coverage you select. You can be held personally accountable for any excess. Liability coverage is mandatory in nearly all states (the others have financial-responsibility laws that can be met by purchasing this coverage). But state requirements are modest -- typically $20,000 to $30,000 for bodily injury suffered by one person in an accident, $50,000 for all people hurt in the same accident, and up to $25,000 for property damage resulting from that accident. Liability coverage typically helps to provide you with peace of mind. Why? Because it helps protect you from covered damage your car insurance does to others…damage for which you are legally liable. 1 Response to "Liability coverage protects you if you injure or kill someone or damage property"